When I first played Dominion I hated it. It was six or seven years ago and I was in Michigan visiting my brother who insisted that I had to play this game. He and his wife had been playing it consistently for months, adding in several expansions and growing familiar with all the possible permutations and options. So, quite naturally, I got my behind served up to me on a silver platter. (It’s worth noting that no one in my family would ever “go easy” on me at a board game, a treatment I richly deserve). It wasn’t just the fact that he knew, instinctively, how the cards would work together and how to construct his deck, it was that coupled with the fact that I had no such idea. I could guess, I could imagine how things would go, but at the end of the day there was just too much new and strange and unpredictable about the game for me to even come close to being competitive. So I hated it. Naturally, in the intervening years I returned to the game and gave it a fairer chance, on more even footing, and it has gradually become a favorite of mine, as well. 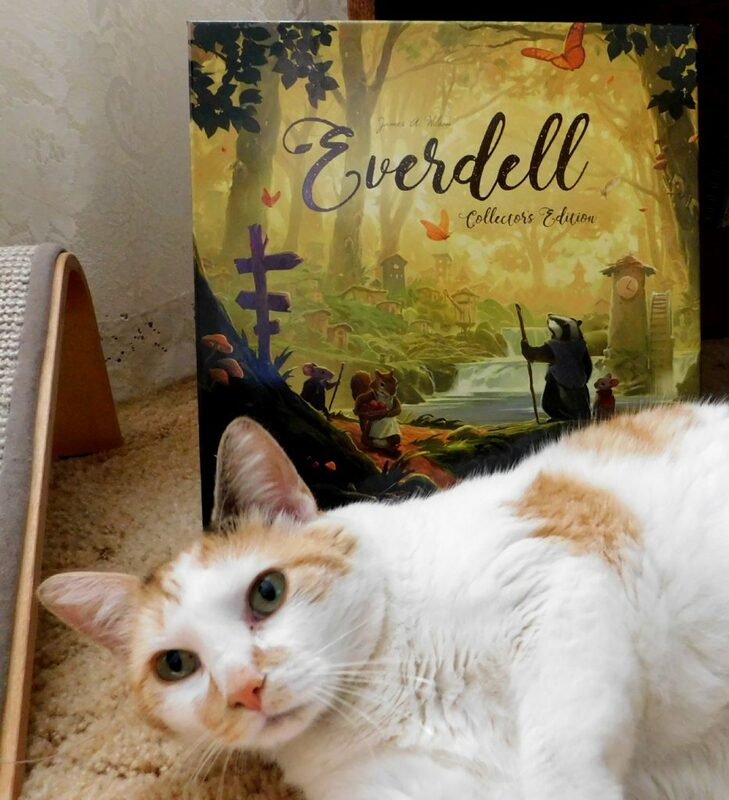 All of that is my lengthy way of saying this: Everdell is a much better game than your first few plays will lead you to believe, but if you’re patient you will be rewarded. 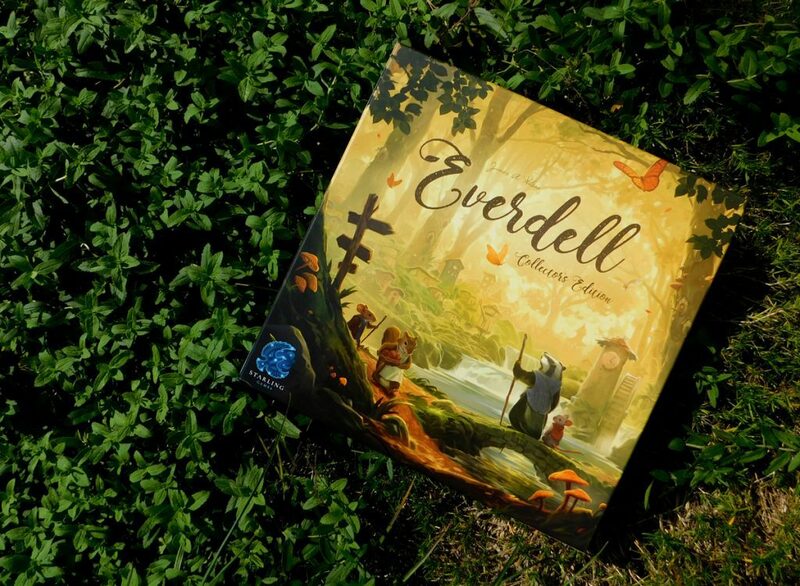 Everdell is a breathtakingly beautiful game illustrated by Andrew Bosley and designed by James A. Wilson (and published by Starling Games). 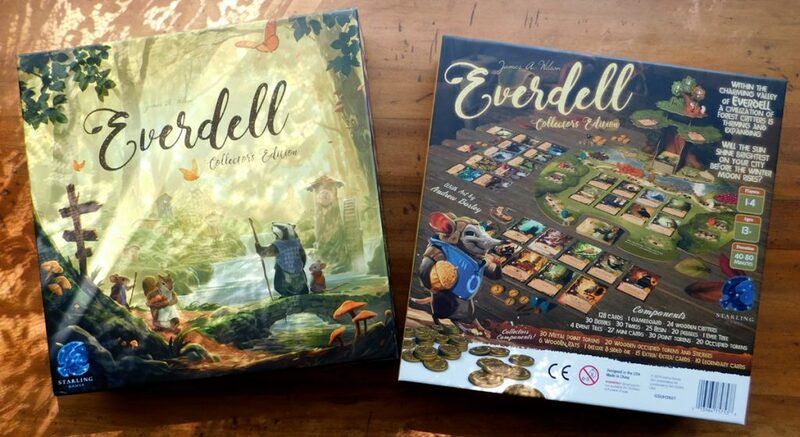 Typically, I would credit the designer first, but in this case I think that Andrew’s work in realizing the world of Everdell is equally instrumental in its success. We’ve reached a point in board gaming where it’s not enough to have a good game. The words “worker placement” fail to excite and require, at least for me, a theme, a world, and a hook to draw me in. Andrew Bosley provides that hook with his lavish illustrations of anthropomorphic forest creatures which instantly transport me back to my childhood of Redwall, The Wind in the Willows, and Watership Down. And if Andrew Bosley sets it up, then James A. Wilson knocks it home. 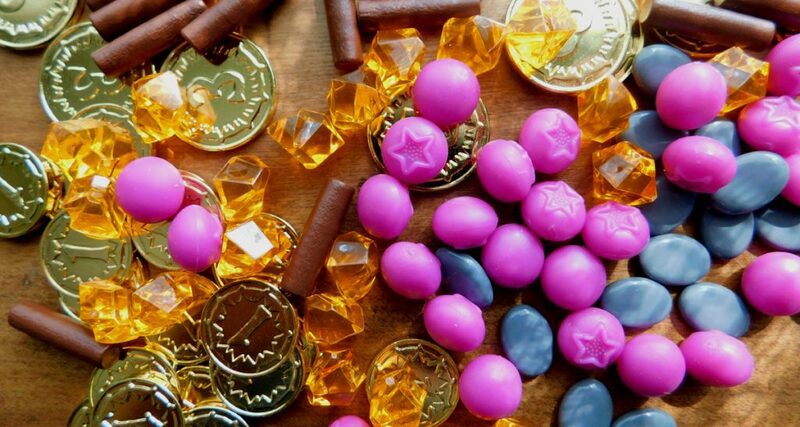 As mentioned, the game is a worker placement game, in which you will be sending your forest creatures out to collect resources (berries, stones, resin, and some annoyingly-round sticks that refuse to stay in one pile). The first wrinkle to the formula, though, comes with your allotment of forest creatures. Each player begins the game with a mere 2 creatures to play. You will have a few other options on your turn, but at first the only way to fire up your engine is to send your creature out to forage. However, by the end of the game you will have 6 workers to use. 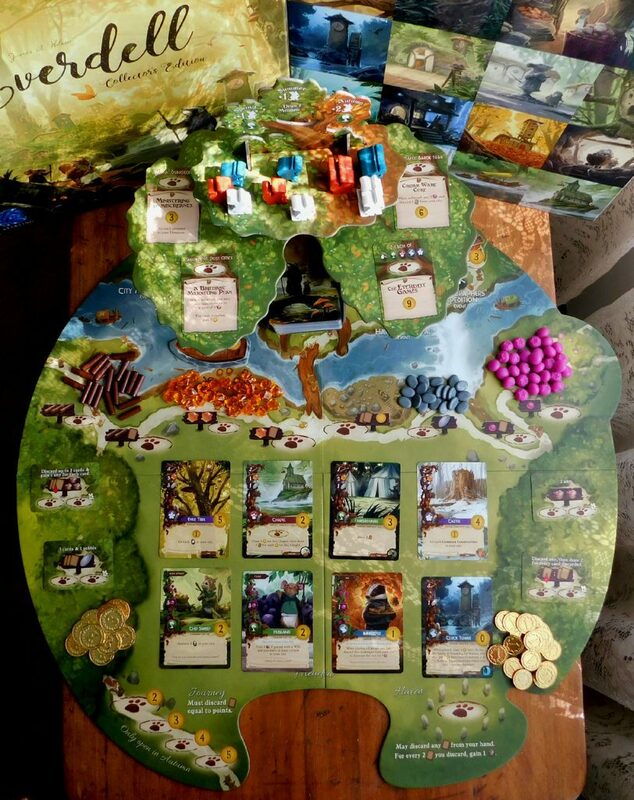 At the heart of the game’s physical design is the soaring punchboard tree that presides over the board like a guardian, providing both a visual like no other and also built to make several mini boards in the branches. The uppermost of these branches holds the rest of your critters, which you will slowly receive through the course of play. Each game is broken into 4 seasons: you begin in winter, then move through spring, summer, and finally autumn. Each turn presents three options, one of which is sending your critters to work, and one of which is gathering them back up. Unlike other games in this vein, however, returning your critters to your hand is not to be taken lightly. The game is finite, with each player operating on their own timeline. Gathering your critters moves you from your current season to the next, at which point you collect 1 more of your critters from the tree (or, in the case of the final season, 2 more). But when autumn ends, the game is over, at least for you, so you want to stretch each season to its limits, drawing them out to the last possible moment before, reluctantly, gathering your furry workers and moving on. This leads to a wonderful tension as you want to drag your feet in moving to the next season, but doing so will also give you 1 or 2 more workers, meaning each subsequent season is more productive and fertile than the last. Now, if you’re like me, somewhere in the last two paragraphs you paused, sat back, and did a little math on your fingertips. If you came to the conclusion that you only get 15 worker placements across an entire game of Everdell, then you’d be correct. If you’re thinking to yourself, “How is that possible? That can’t possibly be right,” then you’d be thinking exactly what I was thinking as I read the manual. And if you’re thinking, “This game is going to be far too short. It’s going to be yet another arbitrary-ending that cuts you off before your engine truly gets going,” then… you’d be dead wrong. My first game of Everdell was only a 3-player one and it still managed to extend out to nearly 2 hours. Certainly, a part of that is familiarity, which we’ll get to later on. 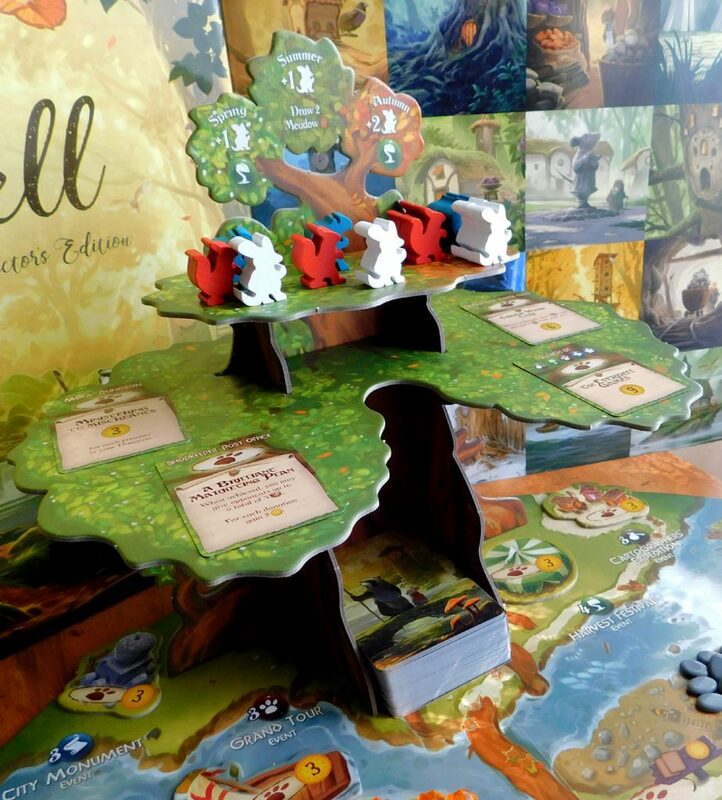 In practice, though, Everdell is a game where you get to do a remarkable amount with very little, and your workers (which you would think would be the crux of a “worker placement” game) serve mostly as the match to light the fire. The real pith of the game, upon which the conflagration will rise, is the engine-building. There are 128 critter and construction cards in a single deck that makes up the core of this engine. These cards present you with your “other” options on your turn. 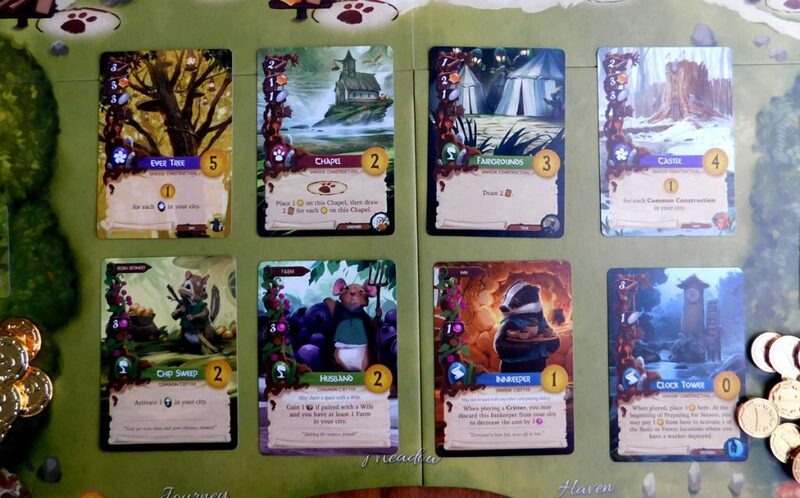 You begin the game with a hand of 5 and can, instead of placing a worker (or changing seasons), choose to play a card from your hand into your forest city. It’s worth noting now that your city is comprised of 15 spaces, and cannot exceed that amount, so playing your cards in a 3×5 grid is recommended to easily track your remaining real estate. Each card you play into your city has a cost made up of the berries, lumber, and other resources you’ve collected, which must be paid to place the card (there are exceptions, but we’ll get to that shortly). Once played into your city, cards will have differing bonuses and effects. Some will give you instant bonuses like extra resources, victory points, or drawing more cards. Others cards, those bearing the green, sprouting change-of-season symbol, will often give a bonus (like a berry or a resin) multiple times, triggering every season change for that player, making those locations especially potent if built early in the game since you may be able to activate them 2 or 3 times. Particularly fascinating to me were the destination cards which, once built, served as an added location that players could trigger with their workers. This can add to the decision-making process as you wrestle to decide if it’s worth building a post office just to see the next player occupy it with their worker–yes, you’ll get a victory point as compensation, but you really wanted to build and use the post office. The biggest questions you face, however, are typically on the subject of synergy. Apart from the locations that will trigger multiple times, you have many that gain additional effects off of each other: cumulative bonuses based on how many cards of certain types you own. And above all there’s the matter of critters and their specific constructions. Many of the critters in your deck will list a construction card above their cost to play (for example, the Judge lists the Courthouse on his card). What this means is if you have that construction already built, then you can play the critter into your city for free, spending only your action that turn to do so. And that’s where things get interesting. I’m going to spell it out, because it took me the better part of a 2-hour game to realize this: your combos and your synergy will either see your empire rise like Rome or fall like, well, Rome a little later on. Much like the seminal classic 7 Wonders, you will find yourself contorting your strategy to cater to your combos. You’ll dig through the deck frantically for a princess because you have a palace you could freely place her in. Play your cards right (quite literally) and you will find yourself taking turn after turn without spending so much as a single berry! In fact, towards the latter seasons of the game, many turns would result in a net gain of resources because players had their cities so honed and focused. Which is a thing of absolute beauty… when it works. At 128 cards, there are two things working against Everdell. First, there’s simply the matter of familiarity which I mentioned at the start. No matter how clearly you grasp the rules of the game you are going to experience a certain amount of uncertainty as you try and make decisions to get your engine going and struggling against the as-yet unfamiliar cogs that will make it turn. This isn’t a problem unique to Everdell and is actually something inherent in most games above a certain complexity threshold. However, it can feel somewhat more vexing here due to the second problem–128 cards might just be a few too many. Your city is the true heart and soul of the game and there needs to be a minimum acceptable level of harmony to allow it to grow and thrive. At 128 cards that harmony isn’t always there in a 2-3 player game. (In a 4 player game you will move through more cards faster, which helps ameliorate the problem). You’ll find yourself planning, plotting, and building with certain expectations only to have them dashed when you go an entire game without seeing the critters you need. This wouldn’t be quite so irksome if it weren’t for the fact that the game is so infuriatingly well balanced! (And, just to be clear, that is a compliment, albeit a backhanded one). 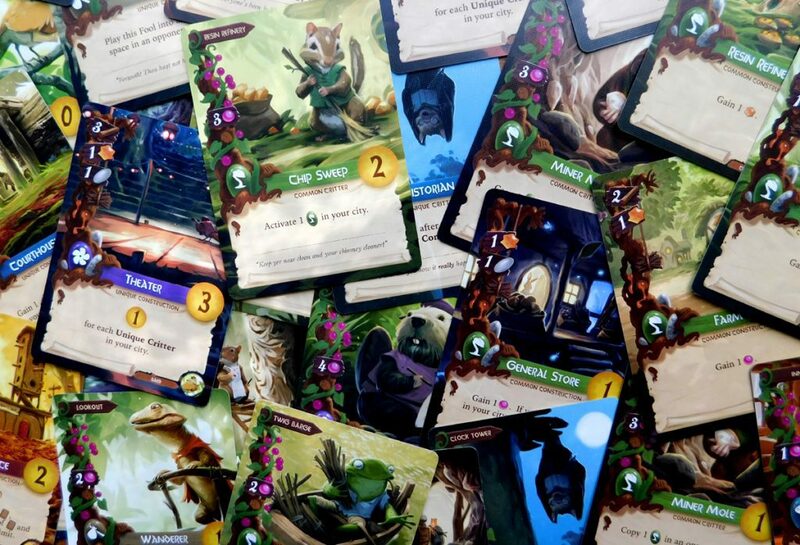 While it can feel like one player is running away from the rest, in reality games of Everdell are often miraculously close, with players falling within 10 points or fewer of each other. It’s easy to play the game, but it’s hard to run away with it, and that’s a fantastic quality for a game. It also helps in getting over the learning curve, because despite the frustrations in your first few games, it’s easy to want to play again when you’re only losing by a little bit. You tell yourself that, once you master what’s in the deck and what to expect that you’ll be able to get over the hump and secure yourself a win. And you want to! Everdell isn’t reinventing the wheel, but it’s beautiful to look at and pleasing to play. It’s both familiar and comforting; easy to learn while surprising and challenging. And tricky to master. So while you may find yourself a little irked and a little stymied the first few go-rounds, stick with it and you won’t be sorry. Pearlbrook, the first expansion for Everdell, is live on Kickstarter right now, and going strong. I would like to purchase that cat. How much?